I realise that someone falling upon this blog who starts reading from the newest posts may not fully understand the events or the experiences that have led me to this point. A comment on my latest post has led me to take stock and review the message I am putting out there. I don’t analyse or agonise about what I write and publish. My view of a blog is that it is really a journal that I choose to share with anyone who cares to read it. Of course I am aware that I am publishing it so I probably do subconsciously censor it. However I write fast as thoughts come into my head, it has been described as kind of opening up a vein and letting the words pour onto the page. I always write like that, even articles that I have written for newspapers and magazines. It comes easily to me and even articles that are edited and amended end up very close to what I originally wrote. One of the reasons I do publish what I write is because I have an inner desire to help other parents by sharing my story and to help someone who may have lost their child to suicide very recently, so in most of my posts I do try to show there is hope for the future even after you have experienced your worst nightmare. Of course it is also cathartic. Nothing in the world can prepare you for that knock on the door late at night from a policeman who knows his job is to tear a mother’s heart apart. Very early on; in fact from the first minute after the news was delivered my conscious mind realised that I was not behaving in the way I would have perceived a grieving mother should behave. I used to tell people in the early weeks that I wanted to write Kate McGann a letter and apologise. You see I now understood why the face she showed the world when her beautiful little girl had been snatched away from her was not the face of a grieving mother. I now understood that the mind goes into shock and shuts down. Yes I am sure some people would weep constantly or howl or fall to the floor and wouldn’t be able to function, but not me. I looked like Kate McGann, composed, groomed and articulate. If I tell you what I did in the 3 weeks following my son’s death you will be shocked, truly shocked. The very next day after I was told of his death I went to Argos to collect a juicer I had ordered the day before. See I told you, you would be shocked. I drove to Cambridge 2 days later on my own. I saw the field where he died, I saw his body in the funeral home, I picked out music for his funeral, I met a celebrant and wrote his eulogy. I met his friends; I went out for dinner with my brother and his wife. I then drove back to Cornwall, found a puppy and went to see her. I went to the dentist for my normal check up and went to the hospital for an appointment for tests for a minor complaint. I then drove back to Cambridge and stayed in a hotel and attended his funeral. All the way through this I rarely cried. I ate food at every meal and I slept at night, although the latter was helped by Diazepam. I looked OK; I washed my hair and put make up on. The point I am trying to make, is if you had bumped into me in the street you would not have looked at me and seen any indication that I was living through the worst nightmare of my life. However, none of that changes the fact that up until recently I felt like I wanted to die every single day. Somehow I found a way to cope, to pull myself through every day and then recently I wrote the blog about waking up from a coma. Someone, a depressed young man, read my blog and somehow he read into my post that losing a child to suicide is not so bad. Here I was writing about enjoying life and feeling OK. 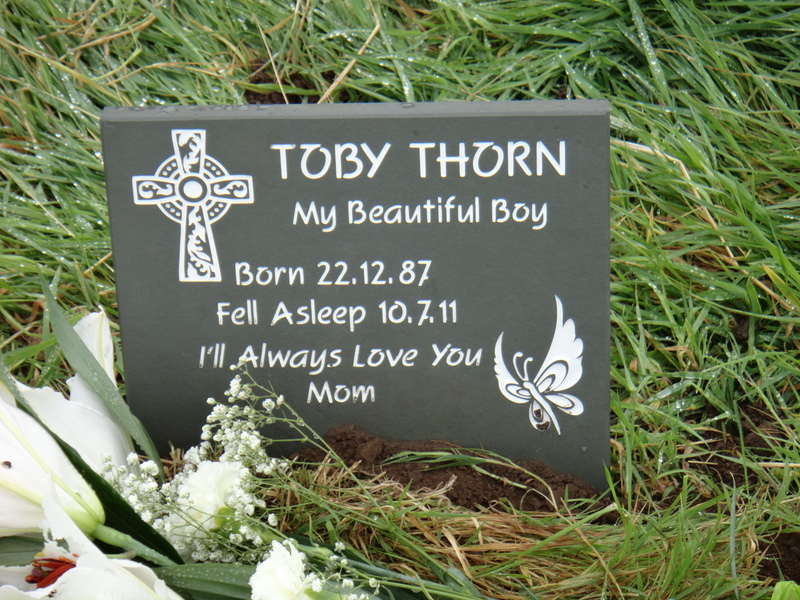 So that made him think that if he did what Toby did, his Mum would be OK and she would get over it. I write what I feel, but each time I am going through the really dark times, I don’t always write about it here. I want to help and support others and show that there is hope, even when you think your life is over, destroyed, devastated beyond belief. So for the avoidance of any doubt, losing my son was so bad, very, very bad. Dark terrible thoughts can spring into my mind at any time, out of the blue. I hear others talking about their children and their achievements and their grandchildren and I feel empty and bereft. No one can really understand unless they are also living through it. Just last week, a dear friend who I know loves me and would never hurt me, told me to put away Toby’s pictures and that it was time to get over it as it has been two years. Incredibly hurtful, but I cannot blame this friend as they just cannot know how my pain feels and they thought they were giving me advice that would help me. So yes, I am getting on with my life, and like the double amputee, I am putting a positive spin on it and signing up for the Paralympics because what is the alternative? But that doesn’t mean I’d give everything to have my legs back metaphorically. It doesn’t mean that I don’t miss my son every second of every day with an ache that will never be healed. So to that young man the message is that your Mum would be devastated forever and be left with a life sentence of pain, as I have. She may be able to put on a brave face and get on with her life as I have, but I urge you to seek help. And yes – it is so bad. 13 Responses to It is so bad….. Thank you for your blog which has helped and given me some comfort having lost my beautiful son 6 years ago. 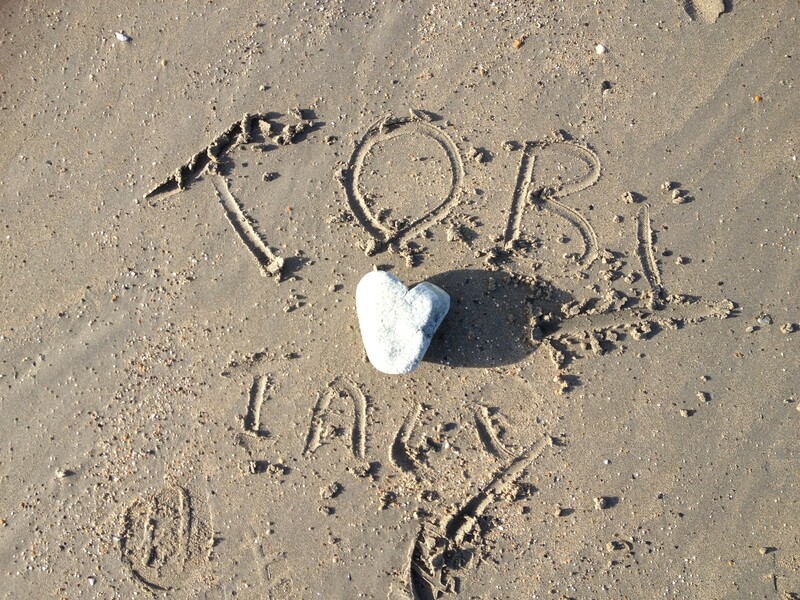 Never a day, barely an hour goes by without thinking of him. As you know the pain is indescribable. Like you my way of coping was to carry on in the same way to the point of being criticised although my heart was completely and utterly broken. Grief is such a personal thing and everyone reacts differently. I wasn’t shocked when you mentioned your trip to Argos, just relieved that someone else reacted like me. Life does go on, it doesn’t get easier but we find ways of dealing with it and are finally able to get small pleasures out of life. Thank you again for your blog which gives comfort to many. Thank you for your thoughts and how you write what you feel .What I find now,after 3 and half years is the heartache watching his friends get married, have children and advance in their career. It is the realization that it will never happen to Jonathan. Such pain for the parents and the dream for that child crushed. It never goes away. My faith helps me but it is like every now and then I poke my head out of a window to keep breathing. Sometimes I think he will come home.Sometimes I want to tell him something and then realize I can’t. Life does go on but the pain is always there. Oh Carol I feel your pain. You are still in shock.Words are inadequate the pain at times unbearable but do know we understand because we are still walking the same road. I lost my son last year to suicide, he was 23 years old had just finished university with a Bsc in Physio therapy, he didn’t stay around to receive his degree. He was funny articulate handsome loyal and a depressive who saw none of the afore mentioned things. I thought I was doing ok, went through all the emotions anger ( not at him ) sadnesss, guilt, etc etc. But 18 months on I have sunk into this huge depression, miss him more than ever and hate myself for not being able to save my beautiful boy. I feel my head will explode with the huge sadness. I hate going to bed at night as my thoughts of him are overwhelming, and I hate getting up in the morning as it’s one more day to face without him. I have two married daughters whom I love with all my heart, and three wonderful beautiful grand children, and my rock, my husband of 35 years. On the outside I look and sound good, on the inside I’m a mess. I don’t know how to get through this, for the very first time in my life I don’t want to be here, but that’s not an option, as you said my girls have lost there brother, my husband his son I couldn’t do that to them. I know the pain will get easier in time, and I have to stay strong for me my family and for my son. In time I hope the good memories outweigh the bad ones………. I lost my 36 year old son 24th Febuary 2013.David was married,worked, had hobbies. He also struggled with depression, he used to say Mam if only I could sleep, if only I could rest.Reading the feelings and thoughts of other mums make me realise it’s a long road we are on.It has changed everything, I keep saying to myself a day at a time. I keep my chin up he would want me to, He left two children,they are my reason to get up in the morning. Dear dear Carol, it is only early days for you in this black journey that has been entrusted on to us. It is coming up to Jonathan’s 4th anniversary and the pain is still there. I am learning to live with it but sometimes it hits me hard. My support group helps.Have made great friends with the same journey and that helps. Celebrations are painful and I want the whole family there and I miss him terribly.And his birthday is a horrible day. Surround yourself with people who understand and support you. To the Young Man who wrote to you please let him know that his Mother will love and miss him with great pain to her dying day I am 15 Years down this lonesome Road and though the pain does get gentler it is always there something so important missing from your Life a forever dull ache that will never go away you described the feeling to a tee with your double Amputee comment and his Mother will be left with those nagging what ifs that poke their nasty thoughts through at the most unexpected times and do not put away those Photos leave them out and celebrate the short time you were able to have with your Son I know was privileged to have known a beautiful and caring Young Man of only 13 but his inner light keeps me going Take Care from a Mum in Australia.